Toyota will unveil it’s 3rd generation Toyota RAV4 at the Frankfurt Motor Show in September this year. When the RAV4 first came out 11 years ago, it set fire to the compact SUV market and the 2nd generation RAV4 remains a best seller in the European 4X4 market. The 2nd generation Toyota RAV4 is available locally as a CBU model from Toyota and is powered by a 2 litre VVT-i engine. 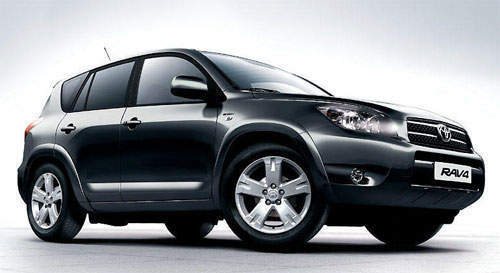 The new 3rd generation 2006 Toyota RAV4 will be bigger than the 1st and 2nd generation RAV4s and is rumoured to be powered by a bigger engine. There are talks of a 3.0 litre V6 producing 230hp, but nothing is confirmed. Thanks to DOG THE WAN for the scoop.